GREEN CROSS France et Territoires (GCFT) decided to create this website to share its publications, especially the Keys to Act series, for easy online reading. 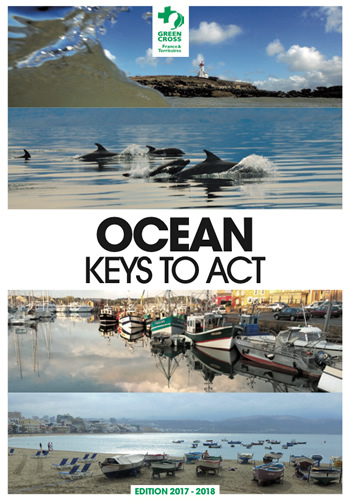 After the publication of the « Water — Keys to Act » and« Oceans — Keys to Act » booklets, the next one will be « Circular Economy — Keys to Act ». These booklets, which are the products of Green Cross Task Forces, aim to display a synthetical overview of the issues, and to offer concrete solutions which allow anyone to act at their own level. Nourishing, curing, connecting and transporting us, the ocean also protects us and regulates our climate. The ocean is essential for humanity. Yet, we know it mostly by its coastlines and by our plate. But each time their wonders are revealed, we are subjugated by its beauty. However, this ocean, our ocean, a priceless common property that connects people, as continents and islands, is sick. Its water acidifies, its biodiversity is becoming impoverished, and the level of its waters worldwide is rising-creating floods or making lands unusable for living or cultivation. The effects of its anger are more and more devastating. To protect us, it is therefore key to preserve it. Solutions are identified, sometimes already established, often creating jobs and economic wealth, almost always desirable, and their implementation can be easily managed. We can all act now, moving from disposable to sustainable, from neutrality to involvement, from the individual to the collective. THIS IS WHAT THIS PUBLICATION IS ALL ABOUT. We hope to create and share emotions through the wonders highlighted, present the issues using key synthesis and numbers as example and, above all, give you a first set of keys to action-solutions that are unique, replicable and complementary. Together we can help restore the health of the ocean and the future of humanity. This publication presents solutions, opportunities, and ideas while sharing experiences. We entrust it to you, open it up to debate, hope to encourage actions, and impatiently wait for your feedback. It is now all yours; our bottle in the sea becomes your set of keys. We wish you a pleasant read and positive actions. 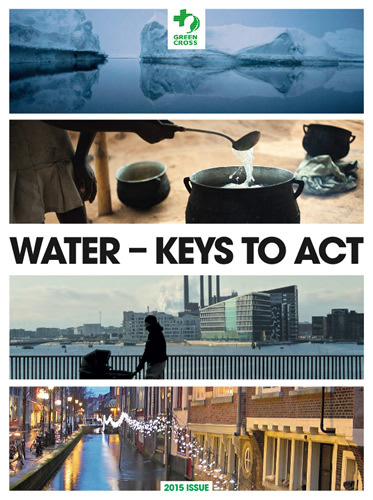 The booklet Water – Keys to Act, offers a comprehensive overview of water issues, including how water is used, modern sources of pollution, sanitation, oceans and water footprints. The document is organized with Solutions and Lessons learned, with simple and accurate arguments which allow everyone to act right now, at his own level. It is with great satisfaction that GREEN CROSS France and Territoires (GCFT) and his partners (Green Cross International, Sopra Steria, 24h.photo and We demain) share their water booklet on this dedicated website. 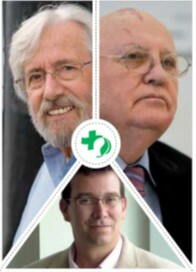 Do you like the action of GREEN CROSS France et Territoires?